The only thing that is constant in the realm of online commerce is the change it goes through. Some of these changes are just abrupt, while other comes as a seismic shift. From desktops to mobile commerce, this sector has gone through numerous changes over the last couple of years. A lot of technologies are coming to the forefront that would revolutionize ecommerce as we see it. The next major change that this sector is encountering is the incorporation of AI (Artificial Intelligence). By automating certain part of the ecommerce, using machine learning, the overall consumer experience can certainly be enhanced. One aspect of this AI shift is Chatbots, which have been paramount in minimizing the gap between online business and consumers. Chatbots are basically automated programs that can perform a pre-programmed task based upon inputs from the consumers in the form of text or voice. Basically, consumers can talk to these chatbots on messaging platform or as a website module. The ultimate goal of Chatbots is to offer a better shopping experience and foster a wider gamut of interactions. It will not be farfetched to state that chatbots are the future of whole ecommerce sector. The best part of AI-driven chatbots is that it is always on the learning curve and with more and more information integrating into its backend, its services get more refined. The bottom line is that it learns from the interactions it has with the consumers, making it better with each communication. Let us now take a closer look at top chatbots that can be integrated with an ecommerce website. One of the pioneers in the Artificial Intelligence community, IBM Watson is often touted as the most popular chatbot building platform across the globe. It is built on a neural network and uses machine learning to offer a state of the art conservation service. It is another popular chatbot builder, offering its own SDK for businesses to create a unique chatbot. It also offers an API, which can be used to host a bot either on a mobile application or a website. The best part is that it is open source and also allows integration of other services like LUIS for natural language understanding, Cortana for voice and Bing API for search. It is an on-demand customer service bot, which can be integrated with any website. This bot comes in handy for offering order status updates, tracking number requests or any form of FAQs. It is an innovative chatbot platform allowing a personalized experience for consumers by adding images, audio, video and location information to the chat. This not only results in rich conversation but also adds authenticity to the conversation. This chatbot platform can offer service for a gamut of categories from airline tickets to mobile recharges. Due to its wide array of purchasing interactions, it requires some advanced knowledge of coding for implementation. Want your ecommerce store to have future oriented features? It is an exclusive bot that revolves around helping global consumers shop online with ease. It is one of the true ecommerce bots that simplifies ecommerce enabling users to browse curated products, make purchases, and initiate chats with experts in navigating customs and importing processes. Earlier known as api.ai, this is another conversational platform where the bot matches the query to the most suitable intent based on information contained in the intent. This bot platform transforms the query text into actionable data and returns output as a response object. The core features of this bot platform includes a conversation engine, speech synthesis, deep learning, reinforcement learning, speech recognition, semantic intent extraction, and language generation (NLG) technology. This allows the ecommerce bot to better understand conversations and offer corresponding solutions. This chatbot platform uses CRM to extract data about the consumers and train the neural network to build a historic customer service transcript. This results in faster and accurate customer replies. This bot platform includes a smart messaging platform that offers natural language processing and keyword parsing. As it works on an API it allows for better integration with custom third party plugins. It is a bot platform that works using an API to integrate with other mobile applications as well as websites. It uses AIML (Artificial Intelligence Markup Language) and includes A.L.I.C.E. (The Artificial Linguistic Internet Computer Entity) — a natural language processing chatbot. This bot platform uses customer information to deliver customized solutions which are paramount for the success of ecommerce websites. The best part about Aivo is that it can integrate with any given application and website because of the use of API. This chatbot integrates with customer service offering and works around deep learning to enhance the services. This means that it takes into account each and every interaction between the customer service representative as well as consumers and creates intents which are helpful in the future services. 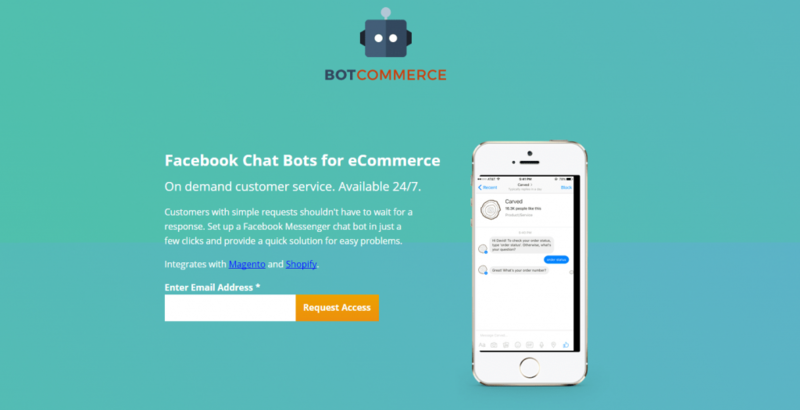 This chatbot platform is useful for ecommerce store that wants to expand and deepen their customer touchpoints. Chatbots built using this platform can work across a wide array of services like catalog search, product ordering, payments, order tracking and fulfillment. The fact of the matter is that conversation commerce is becoming a norm in the current marketing dynamics and chatbot will be playing a key role in that phenomenon. It is all about providing a wholesome shopping experience to the customers. 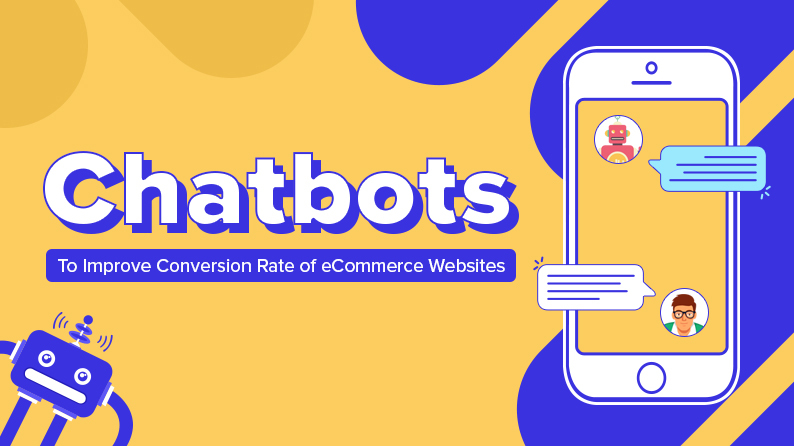 Additionally chatbots also fulfill the need of consumers for instant gratification which not only builds trusts but also increases eCommerce conversion rates. The only thing you need to worry about is making sure your ecommerce marketplace is compatible with chatbots. 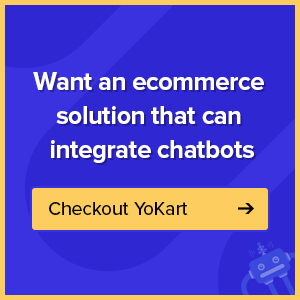 If not then YoKart is an award winning multivendor ecommerce marketplace builder that offers services like chatbots to be integrated into its core architecture. Learn about the ecommerce features of YoKart.